Ten intrepid runners (and one walker!) met today to do a course check for Run The Farm. Ciorsdan Conran, Rob Cummings, Gerry Sullivan, Mark Vincent, Christy Cuomo, Tony Godino, Brian Stempel, Dave Cope, Liz Cope, Rob McGill, and Anton Deiters ventured out on this end of summer sunday. The conditions were perfect: slightly overcast, low 60’s temperature, dry, and quick running. Route 100 was active with bikers from the Westchester Toughman cycling by on their 56 mile segment. The farmers were setting up as we finished up the course of 5 trail miles. Information including maps and description of the 5 mile course can be found here. Some market highlight items were: locally made Indian chutney and Japanese sauces, local vegetables, fresh baked muffins and breads, the dairy tent selling fresh chocolate milk (will be popular with the kids! ), pies, olive oil, and fresh honey. Check here for a list of farmers who are featured at the market. Runners will be given 5 “farm bucks” as they cross the finish line. This $5 Farm Buck can be used on October 24th (race day) at any of the booths at the farmer’s market. (The farmers will change in the farm bucks at the end of the day for real money from the race organizers!) The intent is to encourage the runners and spectators to browse the market and hopefully find something they like! The market will be opening as the runners are finishing the course. We are thinking about another course check this coming Sunday at 8am. Come if you can — meet in the Muscoot parking lot. Post a comment below if you are interested! 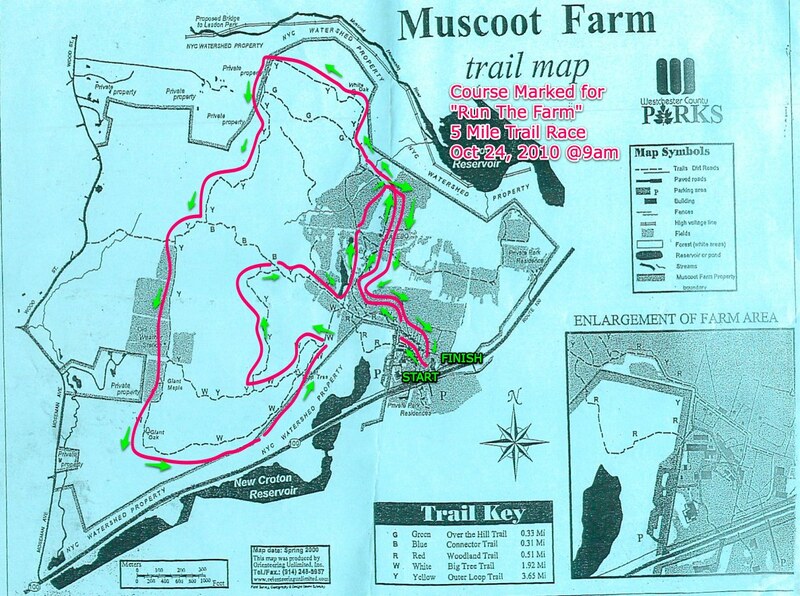 Click map to view larger image with Run The Farm course overlaid. 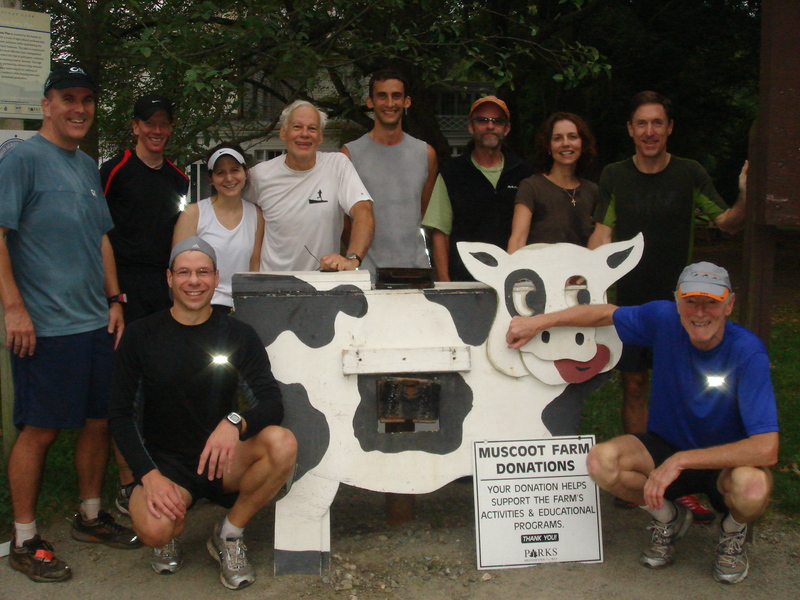 The weather is looking good for this sunday 9/19… We have 6 confirmed runners. Join us! Would love to run this on Sunday the 26th……..8am is earlier than I generally run and get out on Sundays but I will try.